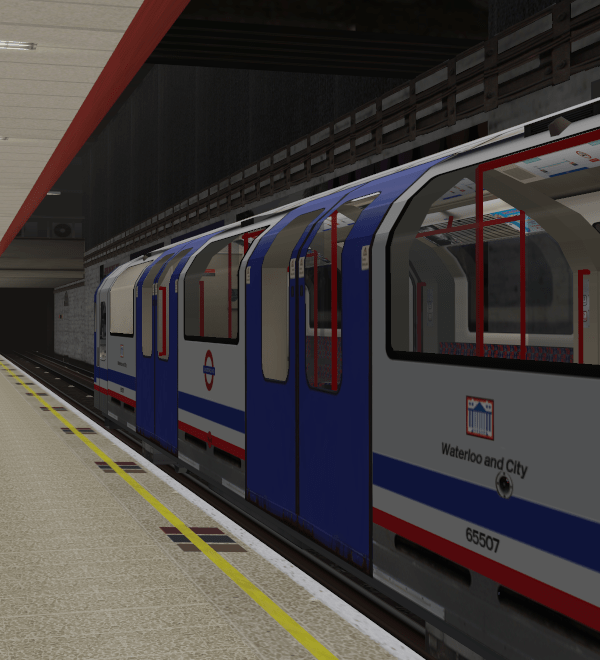 The current release (version 1.0) of our Waterloo and City line for BVE is now available for download. Future releases will also be uploaded here. The Waterloo and City line is unique on the London Underground network in that it only serves two stations. Due to the short length of the line, we did something that is rare in the BVE world: return journeys! Most ‘turns’ start at Waterloo and include up to 4 return journeys between Waterloo and Bank, giving you a chance experience a real ‘shift’ just as actual drivers do. Our route is set in the mid 2000s before the complete refurbishment of the trains and line. During this period the trains still sported the distinctive ‘Network SouthEast’ livery left over from the privatisation of British Rail in 1994.